PLUNKETT, Etta Ivadell Casteel - age 75 of Castalian Springs passed away on Wednesday, November 28, 2018. She was preceded in death by parents, Alford and Myrtle Casteel; daughter, Tracy Lynnette Plunkett; sister, Evelyn White; brothers, James "J.C." Casteel, Alford Casteel, and Clifton Casteel. 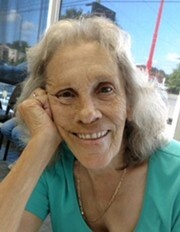 She is survived by husband of 54 years, Wallace Plunkett; son, Michael Glenn (Angie) Plunkett; daughters, Angela Michelle Adams and Tammy Lynn (Kevin) Gentry; brother, Harold Casteel; and numerous grandchildren and great-grandchildren. Mrs. Plunkett was a homemaker and a member of New Beginnings Pentecostal Church. Visitation will be on Saturday, December 1, 2018 from 1 p.m.-5 p.m. in the Partlow Funeral Chapel with funeral services to follow at 5 p.m. Robert Harvey and Kevin Allen will officiate. A Graveside service will be held on Monday, December 3, 2018 at 1 p.m. in the Woodlawn Cemetery. Family and friends will serve as pallbearers.